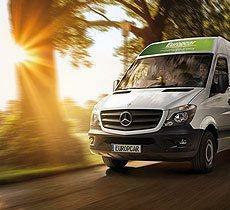 Cooperation with Europcar is highly beneficial for Tour Operators. Here is why. Agreement with Europcar unfolds the access to over 150 countries stored in the database one of the widest car rental networks in the world. Joining us you gain a possibility to be granted individually negotiated special prices that will be valid in the countries of your choice. We are well experienced in the Tour operators cooperation who offer trips to the most popular European holiday destinations. We give access to the newest means of payment (e-vouchers, email vouchers) as well as to the current reporting. In Romania we have a network of 14 rental stations in the main cities and on all international airports. 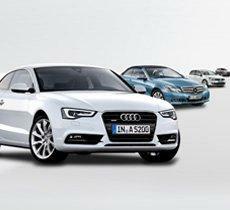 We offer a variety of car makes and models, in every car category. We will gladly assist you with the technical as well as merit issues and provide an attractive commission system or special tour operators rates. 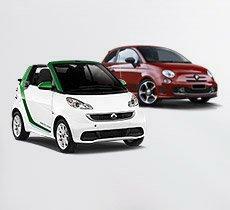 Cooperation agreement with Europcar gives you a warranty of reliable and trouble-free car rental for your customers. That is why creating and selling various tourist products with Europcar is so comfortable. If you already have an agreement with Europcar, you can access the reservation system. Just enter your agreement number as well as your company account number here. Click4Wheels is Europcar's dedicated microsite for Tour Operators who need to manage their customer's car rental bookings in a multi-user website, secured via a login / password access. If you work in tourist sector and wish to start cooperating with Europcar, please contact us. The registration process and accessing the commission system is quite easy and very fast. At each step you take, we offer our help and will gladly share all the information you need.